Get on our weekly Email List of coming attractions. Place the words, ”Drive In List” in the Subject Line and hit Send! 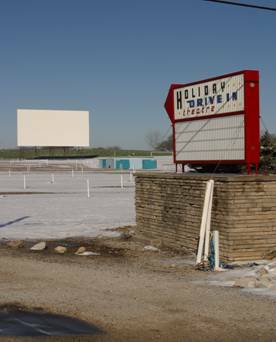 First Built and Opened in the summer of 1961 or 1962, the brain Child of Lawrence County Owners, George W. Webb and Theodore G. Stigall, the Holiday Drive-In Theater is located halfway between Mitchell and Orleans Indiana on SR 37. 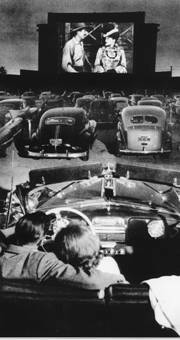 The Holiday Drive-In Theater can hold up to 325 cars with a single screen that measures 68 feet wide by 40 feet tall. 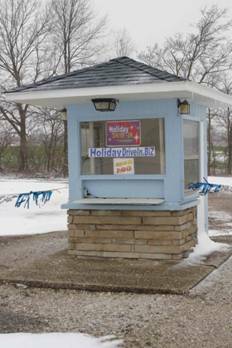 Steve L Wilson of Paoli had worked for and with his Mentor, Robert Limeberry in 1983, 2003 & 2004 and ultimately purchased The Holiday Drive In from the Estate of Robert Limeberry during the Winter of 2005. Robert had been the past owner of 22 years starting in 1983. While Steve is the Third Owner of the theater, he is the very first owner to own the 9.5 acres of which the theater sits upon. He purchased the land from the Estate of Elinor Gardner Jones, of Paoli, the first week of January 2008. Eleanor was the daughter of original land owner, Lowell A. & Jamie L Troth of Orleans Indiana. With this purchase, Mr. Wilson hopes to bring greater changes and enhancements over the coming years that were not possible under a land leased situation. The 2019 season will open on or before end of March 2018 and will run through about September 14th, showing 2 movies each night on Friday & Saturday regularly & Sundays in very late May, then, June & July. Memorial Day & Labor Day Weekends will bring triple or more features on those respective Saturday & Sunday nights.